Iron Hydrogen Sulfide and Manganese Removal Water Filter Media in bag 1 cu.ft. 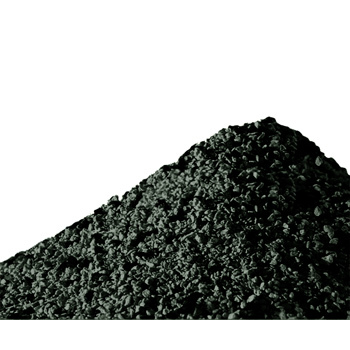 Iron, Hydrogen Sulfide and Manganese Removal Media is a mineral form of manganese dioxide, which has been used in water for over 75 years. 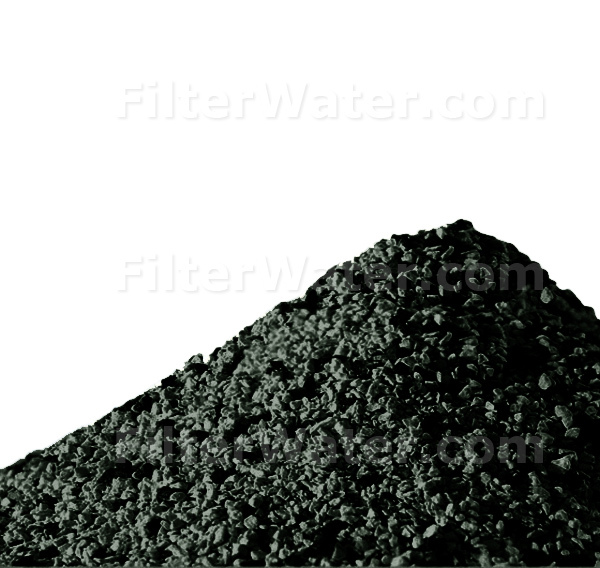 It is a granular filtration media for removal of hydrogen sulfide, iron and manganese from drinking water. Media acts as catalyst to oxidize and make contaminants non-dissolved, after which they can be easily washed out of filtration system during backwash. CQ-PY works on a principle whereby the hydrogen sulfide, iron and manganese are oxidized and trapped on the media while simple backwashing cleans bed of the media. No chemical regeneration is required, nothing is imparted into the drinking water and CQ-PY has a high capacity for low contaminant concentrations. CQ-PY media can be used in conjunction with aeration, chlorination, ozone or other pre-treatment methods for difficult applications. Chlorine or other oxidants accelerate the catalytic reaction. CQ-PY Iron Removal Water Filter Media can be used for both residential and commercial water filtration applications. Because of its heavy weight, it is very important that CQ-PY filters are backwashed properly to insure adequate bed expansion and continued service life.